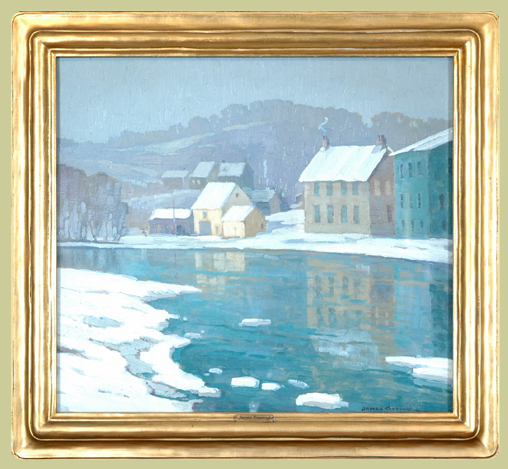 “Charter Creek, PA”, oil on canvas, 18″ x 20″, signed lower right, title and date 1924 inscribed verso. Under glass in Newcomb Macklin frame original to the painting. Original Newcomb Macklin label verso.